I need to read more @Whalehead King posts, where are you?! You may be the Bill Walton of pipe tobacco - I haven't been this entertained by a tobacco review... ever! Seldom seen in the pipe-related threads, nowadays, this man of mystery tends to haunt the "Off Topic" forum but even then he isn't spotted as often as he used to be. Why? Rumors persist regarding his whereabouts and what missions he is undertaking. He pays these homespun conspiracy theories no mind. The facts are nobody's business but his own. Raconteur Extraordinaire, Machine Made Cigar Connoisseur Supreme, Professor Basket Pipe, SWR, Jr.-----, WK goes by many monikers as he spans the spectrum of his interests and shares his eclectic tastes and off-kilter options. With charity toward all and malice toward none, friend of the friendless, WK pops up when least expected like a lazy breeze on a fetid summer day. People ask bemusedly, "Where did that come from?" And, then, once again, he is gone. Poet, scholar, hotelier, weaver of whimsy, and confabulator without peer, a flaneur by profession and a man-about-New Orleans, his life is more boring than yours. Close your eyes. Light a tightly packed bowl of M79 in a Medico pipe with a stinger. If you are lucky, WK will appear. If he doesn't, you'll still have a tasty smoke in your hand and on your palette. A tip of my fedora your way, OPP. Like what you smoke and love what you like. I'm not naughty by nature but I like your initials. WK is down with you. 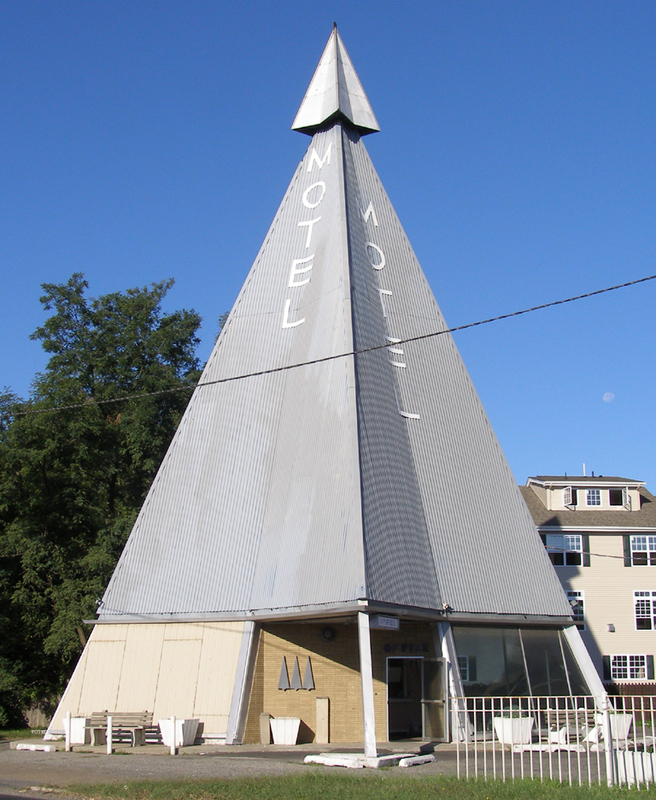 That teepee shaped Motel was awesome! It was the last piece of 60's design in that area. I used to go there just to look at it,. It's a shame the family sold it after 40 years or so and the new owners tore it down and built a storage space. Newark airport terminals were great too until they remodeled them. Thank you for keeping this discussion real. I really appreciate it and I'm not trying to be funny when I say this. I really appreciate it. Thank you for the food for thought. You are absolutely right: I wish there were more architecture like that in the world now. America could use a little more googie. 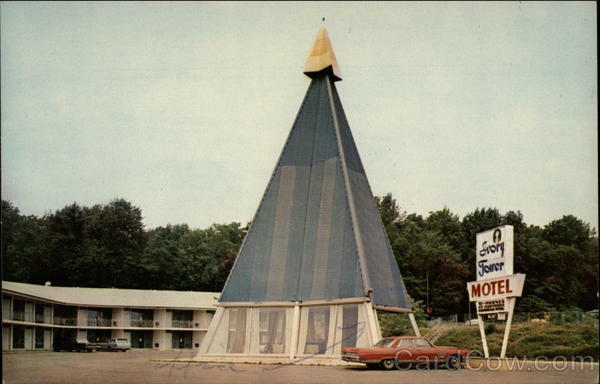 There were three hotels with that design in NJ. The Kings Inn and the Ivory Tower which had two locations. Kings Inn was in the video you posted. Well I’m surprised to say it but I’m a convert. I’ve tried pretty much every readily available OTC pouch blend out there at one time or another and truth be told, none of them was really worth bothering with. Carter Hall, Half and Half, Walnut, even Prince Albert. I’d smoke em in a pinch if that was all I could find but none of them was worth keeping on hand. (I have to add the disclaimer that I don’t think I ever did try the old original Edgeworth ready rubbed in the pouch, I know it was highly regarded as the best, might have been, I’ll never know) On a lark, and because of activity here on the forum, I bought a single pouch of SWRA. I’ve almost finished it and just ordered a couple more pouches. This stuff is surprisingly fantastic. The subdued and smooth nature of the tobacco and the topping is perfect. Tasty, good body, great smell, behaves well, doesn’t get bitter. Surprised the heck out of me. I probably should have ordered the tub. SWRA is just a great smoke by any standard I think. You've got your regular SWR, which is a good OTC, no doubt about it, but there isn't really much to set regular SWR apart from other OTC blends. It's good, you betcha, but is it better than than the best? The bar is set on a pretty even keel there. Burley and bright. What else have you got? SWRA, with its distinctive blend of Dutch liqueurs (DUTCH!) is in a class by itself. I just finished my last tub of SWRA and I decided I wanted to try some Aros a little more fruity (see the "If you like making love at midnight" thread").... yet, I couldn't resist adding a pouch of SWRA to my order. The world is a good place when SWRA is in your bowl. We can argue the merits of any tobacco all day long but, I think, there is one blend on which all pipe smokers can agree, and the the people who love can agree to it, too: SWRA is best in class. It has a smooth palette note like none other. It has a room note that makes friends of enemies and the alligator shake hands with the lion. They both lie down with the lamb in a cloud of SWRA smoke. I haven't yet received my fruity piña colada or key lime tins yet, so the jury is out whether they will be any good, but, I know that my pouch of SWRA is going to be a keeper in every rotation. When I get tired of anything else----anything else----I always know Sir Walter Raleigh Aromatic is ready to take me back to reality and ease my way to pleasant contemplation of all this troubled world's problems enough to make me think I've solved them. This is the pipe tobacco par excellence!! The world will be a sorrier, poorer place without SWRA. You know.. I've always been partial to Dutch things. I smoked as much in the late 70's - early 80's as I do now, and it was all Amphora Red and Sail Yellow really. I was a fan of the Dutch tobacco for certain.